James S. Olson, distinguished professor of history at Sam Houston State University, has been named the top professor in Texas for 2004 by two prestigious national educational organizations. Olson was named the 2004 Texas Professor of the Year by the Carnegie Foundation for the Advancement of Teaching and the Council for Advancement and Support of Education (CASE). He will be honored along with other state winners and four national winners in Washington on Thursday. The Washington events include an awards luncheon and an evening reception on Capitol Hill. All major colleges in Texas are members of CASE. 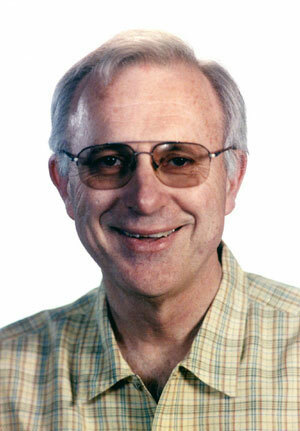 Olson was one of almost 400 top professors in the United States nominated for the award, from which 47 state winners and four national winners were named. "The award has caused me to reflect about my career and the blessings of spending so many years here at Sam Houston, where the support of colleagues, students, and administrators has so enriched my life," Olson said Wednesday before departing for Washington. "I am especially pleased that it is an award primarily for teaching and not for research. Research and writing have been important to me over the years but still tangential to my teaching. " Olson's awards at Sam Houston State University include the Excellence in Teaching Award (1977), the Excellence in Research Award (1988), and the Alumni Service Award (2003). "When I am dead and gone (which I intend to be in the distant future! ), my books will sit on library shelves," Olson said, "but memories of me, I hope, will linger in the minds of some of my students, and in their recollections, not in printed pages, the true worth of my career will be measured. "The award has also given me pause to think of my wonderful wife Judy and our children and grandchildren, for in them, and not in awards, resides the true joy of life." James F. Gaertner, SHSU president, said that Olson is an excellent choice for the award. "I've known many great teachers and researchers over the years, from Texas and throughout the nation, and I've never known a better one or a better person than Jim Olson," said Gaertner. Olson, 58, was born in Downey, Calif. in 1946. He received the B.A. from Brigham Young University in 1967 and the M.A. and Ph.D. from the State University of New York, at Stony Brook, in 1967 and 1972 respectively. He has taught at Sam Houston State since 1972. Olson is the author of more than 40 books on U.S. and World History. In 1987 and 1990, he received "Outstanding Academic Book" awards from the American Association of College and Research Libraries. His book "John Wayne American" (1995) was nominated for the Pulitzer Prize in Biography and won the Ray and Pat Browne Book Award from the American Popular Culture Association. In 2002, his book "A Line in the Sand: The Alamo in Blood and Memory" won the Diolece Parmelee Award for "Outstanding Achievement in Historic Preservation" from the Texas Historical Foundation. Olson's most recent book--"Bathsheba's Breast: Women, Cancer, and History"--was nominated for the 2003 Pulitzer Prize in History, won the 2003 History of Science Prize from the Association of American Publishers, and was named by the Los Angeles Times as one of the best non-fiction books in America in 2002. Olson and his wife, Judith, are the parents of four children and 14 grandchildren. CASE established the Professors of the Year program in 1981 and the Carnegie Foundation became the co-sponsor a year later. TIAA-CREF became the primary sponsor for the awards ceremony in 2000. Additional support for the program is received from the American Association of Community Colleges and various higher education institutions. The Carnegie Foundation for the Advancement of Teaching was founded in 1905 by Andrew Carnegie "to do all things necessary to encourage, uphold and dignify the profession of teaching." The foundation is the only advanced-study center for teachers in the world and the third-oldest foundation in the nation. Its nonprofit research activities are conducted by a small group of distinguished scholars. The Council for Advancement and Support of Education is the largest international association of educational institutions, with more than 3,200 colleges, universities and independent elementary and secondary schools in nearly 50 countries, including the United States, Canada, Mexico, and the United Kingdom. Representing these institutions are more than 38,000 professionals in the disciplines of alumni relations, communications and fund raising. Additional affiliates include educationally related nonprofit organizations and commercial firms.